I love afternoon tea with a theme, but unfortunately they're pretty hard to find. When you do stumble across a themed afternoon tea they're not always done right - quite often it becomes a case of style over substance. 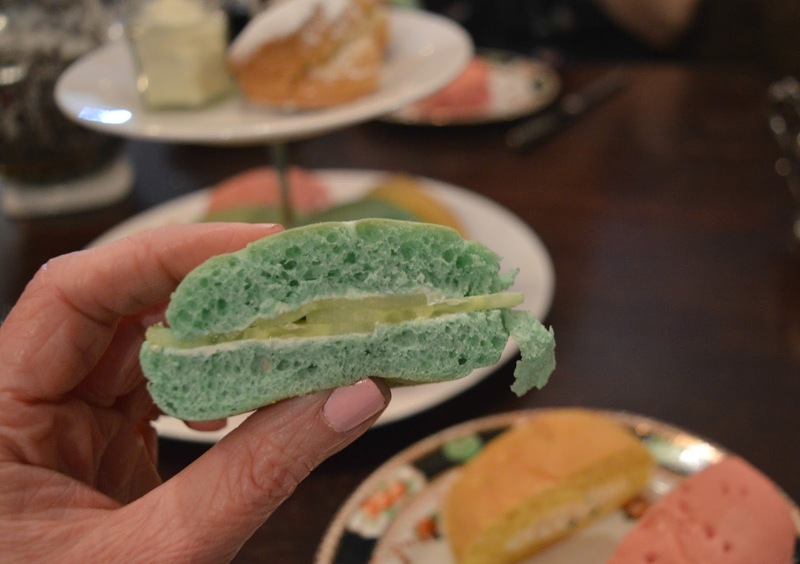 Today I'm very excited to be sharing something rather special because I've discovered an amazing themed afternoon tea that not only looks amazing but tastes gorgeous too! 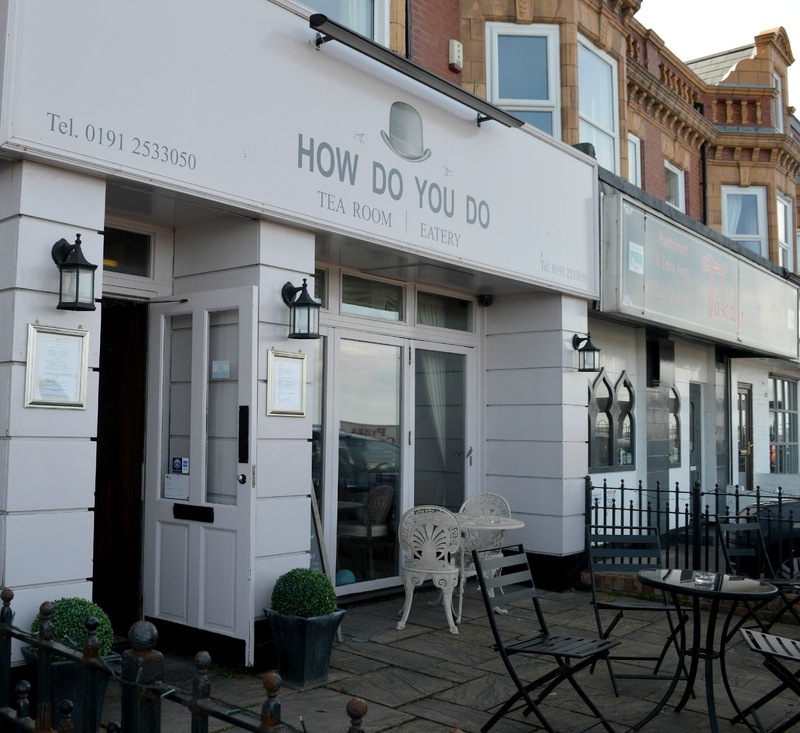 How Do You Do is a seafront tea room in Whitley Bay that serves Mad Hatter's Afternoon Tea for £12.95 per person - an absolute bargain! 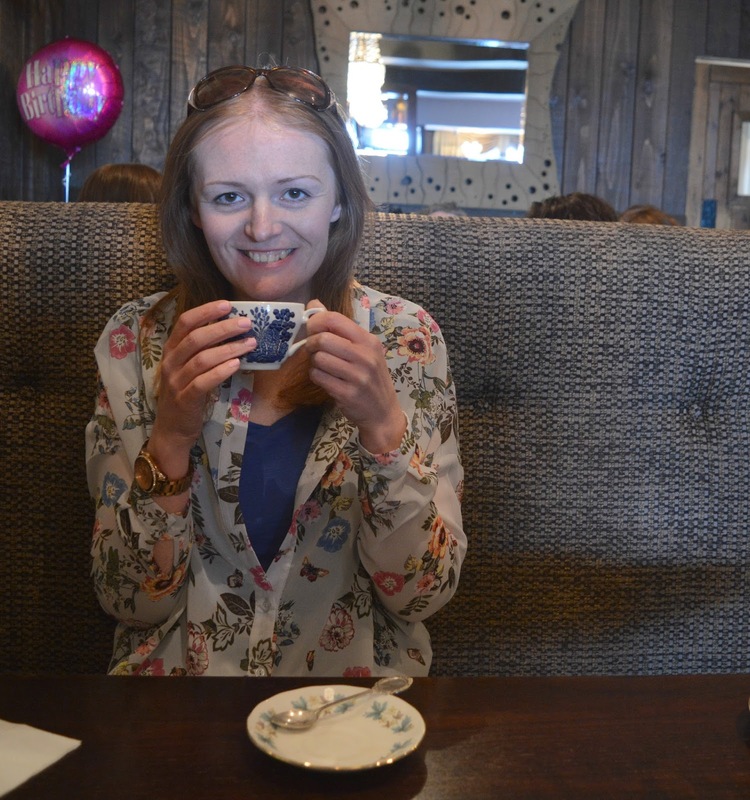 My friend Sarah was visiting me from London this weekend and as a massive fan of afternoon tea she was the perfect person for me to take along to the seaside. We've had a gossip over many cups of tea and cake stands in the 15 years we've known each other. 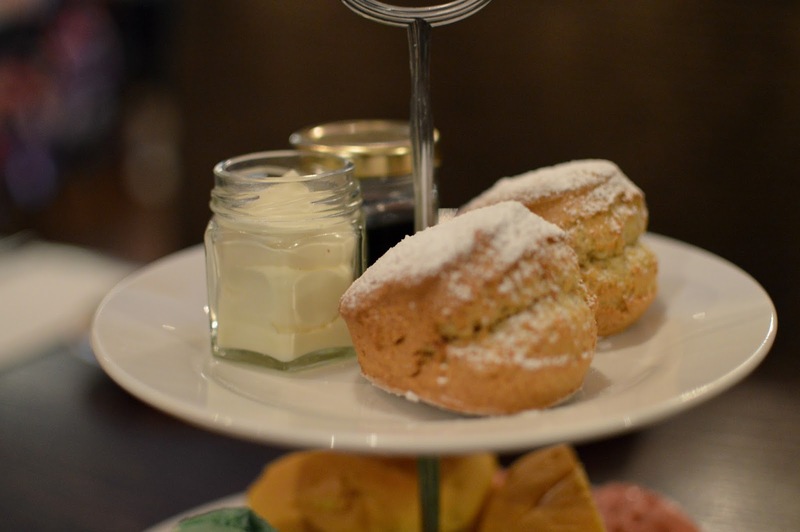 Put us together and we're quite the afternoon tea connoisseurs. How Do You Do is the perfect setting for an adventure in Wonderland. 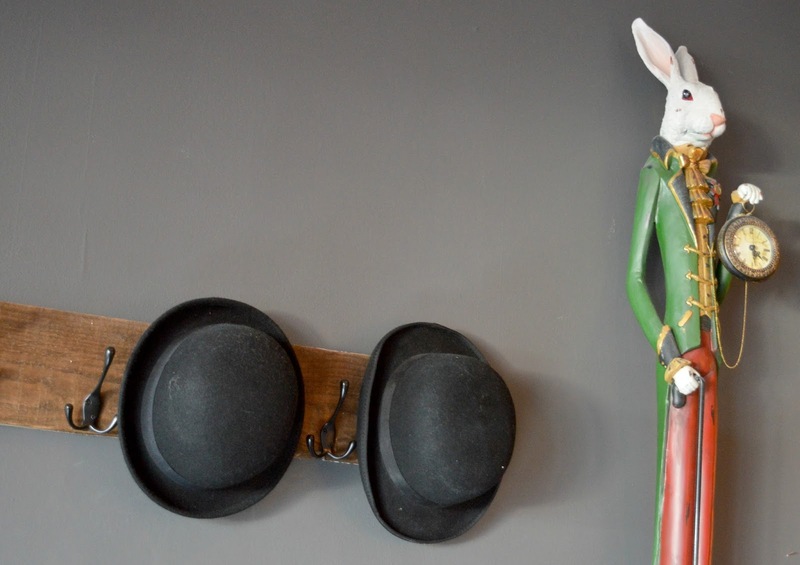 The room is decorated with quirky china teapots, clocks and mis match crockery - we immediately felt like we'd bagged ourselves an exclusive invite to the Mad Hatter's house. The tea room was buzzing with excited chatter when we arrived. With a hen group and a birthday party taking place the afternoon tea is certainly popular and, judging by the happy laughter, a perfect way to celebrate a special occasion with a group of friends. We were seated in a cosy little booth at the back of the room which gave us plenty of space as well as lovely long seats to slouch back on when we started to get full. First up was drinks. We both opted for English Breakfast tea which was brought to us in a stunning china teapot. We peaked inside just to double check the Door Mouse hadn't snuck in and then poured ourselves out some steaming hot cups of tea. Just what we needed after our long walk along the seafront. Despite the tea room being extremely busy we were impressed with how fast and efficient the service at How Do You Do was. We had presumed a rather long wait due to all the parties but were surprised when our afternoon tea appeared a few minutes later. Wow! 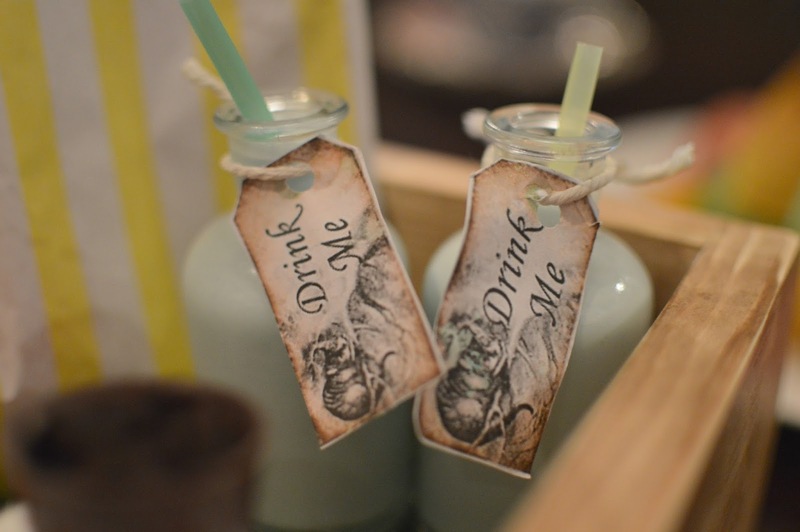 I don't even know where to begin in telling you how amazing the Mad Hatter's Tea was. It was the most beautifully presented afternoon tea I have ever seen. You know you have something good when you're arguing with your friend as to who is going to get a photo up on Instagram first. I don't usually get that excited about the sandwich tier of an afternoon tea, but at a Mad Hatter's Tea Party everything is mad and colourful, including the sandwiches. Each sandwich was served in a brightly coloured bun, and we loved that the bread was coordinated to match the filling. Pink was for ham, Green was for cream cheese and cucumber and Yellow was egg mayonnaise. It felt a little odd eating a coloured sandwich at first but they tasted gorgeous, the bread was fresh and the fillings were delicious. Next came the scones, still warm from the oven they were served with a pot of blackberry jam and a pot of cream. Scones are hard to get right but these were spot on - a perfect size and a beautiful flavour. I haven't had blackberry jam for years and it was a nice change from the usual strawberry jam that you often get with afternoon tea. Away from the afternoon tea tradition of a cake stand, our cakes arrived in a separate Mad Hatters garden box. 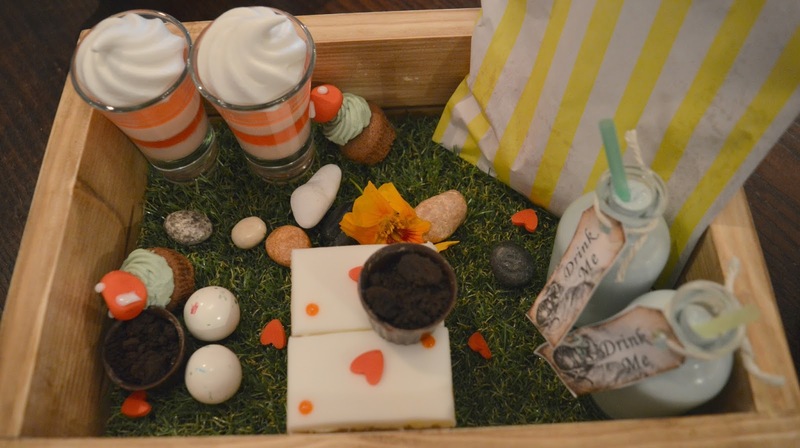 Cute little "Drink Me" bottles, Queen of Hearts Cakes, Chocolate Soil, Lollypops with Sherbet Dip, Gobstoppers, Mini Cupcakes, and edible Chocolate Pebbles all served on a little grass lawn. 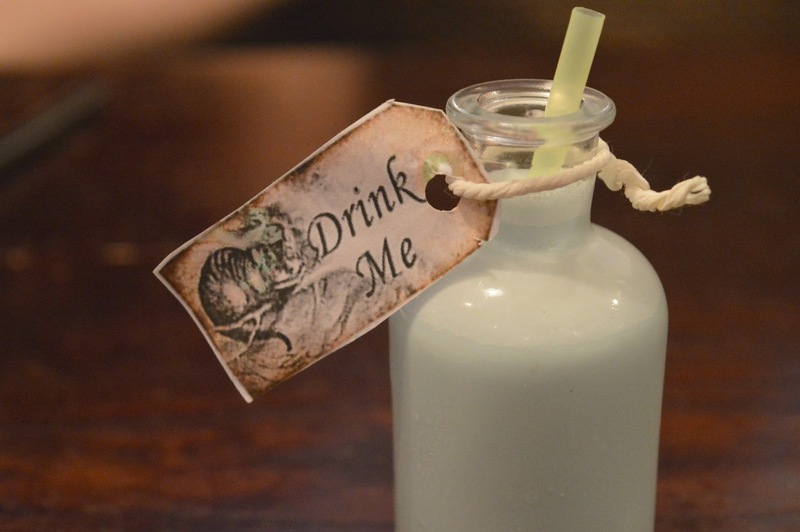 We decided on the "Drink Me" bottles first which were a rather tasty milkshake. We couldn't quite pin down the flavour but we happily drank every last drop, it was over far too quickly. I was pleased that our "Drink Me" bottles didn't make us grow or shrink as I definitely needed to remain at Chloe size to carry on with the rest of the cakes! I went for the soil next, a little pot full of a thick caramel sauce and covered in chocolate soil crumbs, it was delicious and the added surprise bonus was that the pot was also made of chocolate and edible. I followed that with a few bite size pieces - chocolate pebbles and mini cupcakes before moving on to the Queen of Hearts Cake which was my favourite of the selection. 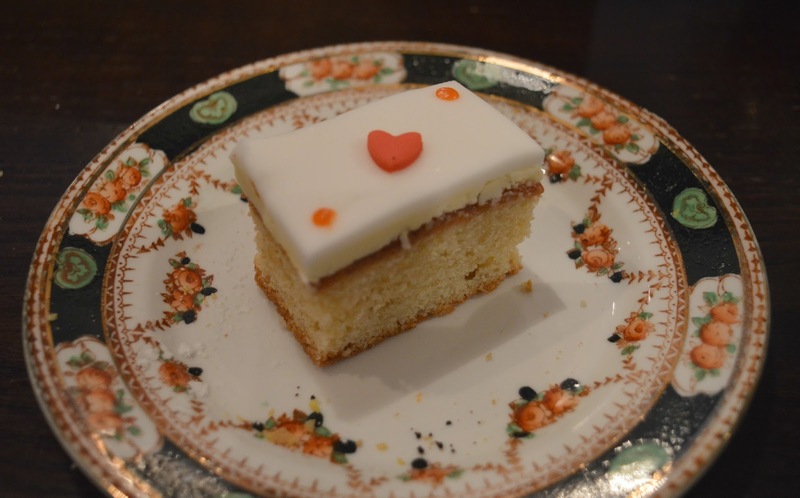 It was a delicious sponge covered in thick indulgent icing. We more or less polished the whole afternoon tea off and both finished with massive smiles on our faces. We were thoroughly impressed and I was feeling a little smug that yet again an amazing local business in the North East had knocked the socks off a visiting friend. 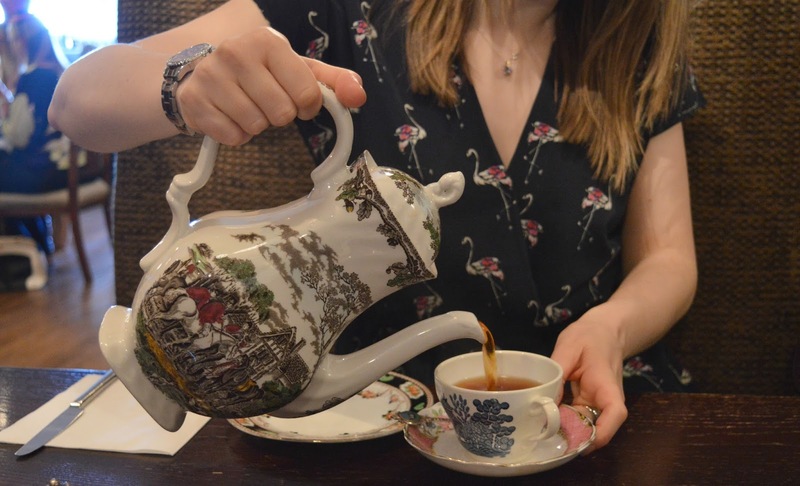 I can't recommend the Mad Hatter's Afternoon Tea enough, a quirky tea room with a well designed afternoon tea in a gorgeous location - there's no better way to spend a lazy afternoon. We were provided afternoon tea free of charge but all thoughts are my own. It was the most beautifully presented afternoon tea I've ever seen, I was so impressed! I really want to go here!!! I love the sandwiches, they look amazing! And the cakes! My lunch will seem so boring today after seeing this! It's definitely one to add to the list! Chloe, I think that is the most beautiful afternoon tea I have ever seen! And the price! What a bargain. I know, I honestly think they could charge so much more for it, it must have taken the Chef forever to come up with the concept, it's so well thought out. I love it here! It is obviously very popular as it is still one of my most searched for posts. The price really is a bargain and it's so fun! I can't wait to see what they have up their sleeve next! I wish I'd gone to the Willy Wonka afternoon tea BH Weekend now! I love afternoon tea with a theme too! It's just so much more exciting than finger sandwiches and standard pastries, though those are goo too! 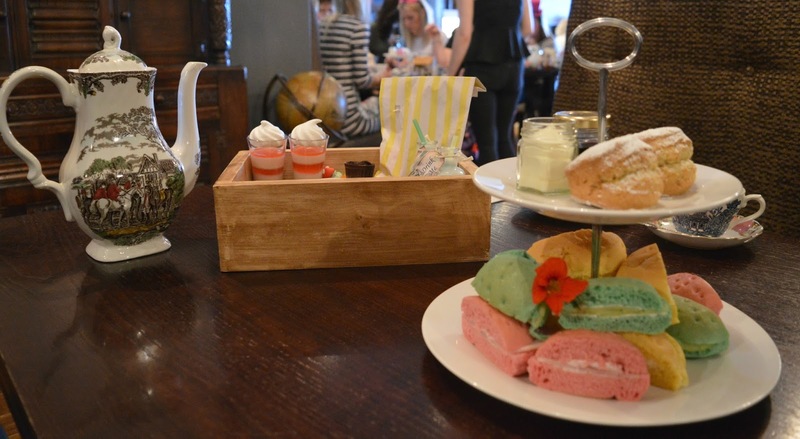 I've had one Mad Hatters themed afternoon tea party before and this one was SO much better, and cheaper! How cool is this?! I like that coloured bread! Oh my goodness, the presentation is amazing!! I love the coloured sandwiches and the little garden box is so cute!! I know, my eyes almost popped out when it was put down in front of us! I'm still yet to try that one, it's been on my list for ages! 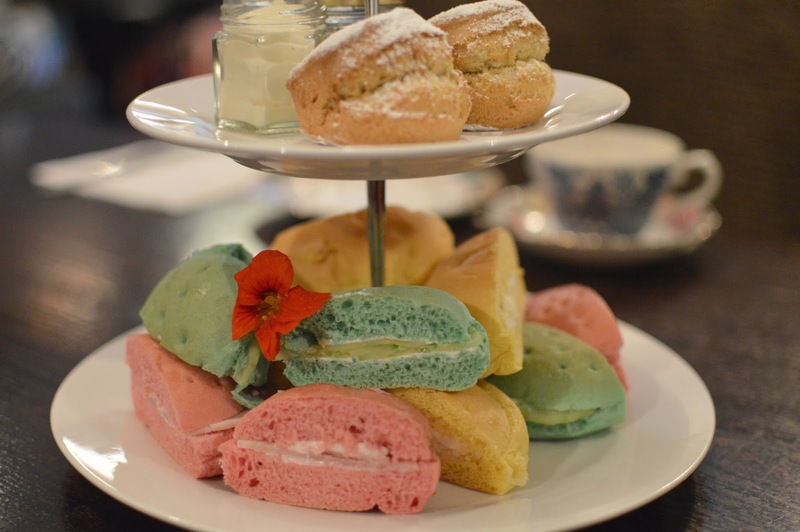 I'm still on the search for a really good Alice afternoon tea, after the other one, and this looks like it'd do nicely! I love the colourful sandwiches! This looks and sounds fab!